Last night, after the BET Awards, there were two music videos that premiered and A$AP Ferg's video happened to be one of them. 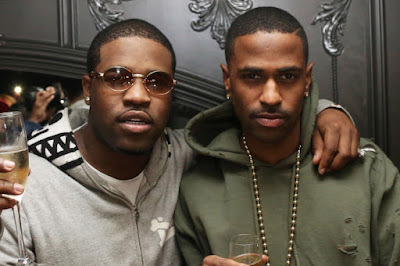 The rapper released his newest video for "The World Is Mine" featuring Big Sean. The rap duo decided to get in touch with their singing side on this track, and while it was no K-Ci and JoJo type vocals, it worked for them(LOL)! The video shows Ferg and Sean suited and booted, dressed to the nines in suits that would make Steve Harvey proud. There is one beauty featured in the video that gives A$AP Ferg a surprise at the end of the video (you gotta watch it to see). This new song is followed by his hot track "New Level", which definitely seems like it is going to get the same type of buzz from the fans. Both songs are featured on his album Always Strive and Prosper which came out earlier this year. Have you heard the album yet? What do you think of it if you have?